Conservative Leader Andrew Scheer told a town hall tonight that his first job as prime minister would be to repeal Prime Minister Justin Trudeau’s climate change plan. 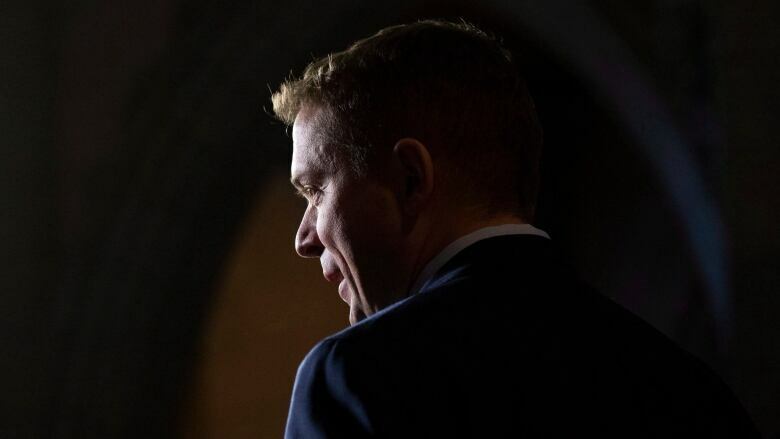 Scheer promises plan aimed at "incentivizing investments in energy efficiencies"
Conservative Leader Andrew Scheer told a town hall tonight that his first job as prime minister would be to repeal Prime Minister Justin Trudeau's climate change plan. The national price on carbon is "a tax on commuters and a free pass for polluters," Scheer said. "Our plan will speak to reducing emissions by incentivizing investments in energy efficiencies. It will not be a punishment on hard-working families." "Conservatives, job #1 will be to repeal the carbon tax." Scheer made the comments in Fredericton, N.B. Progressive Conservative Premier Blaine Higgs was in the audience and was welcomed by Scheer, who thanked him for "joining the fight" against the carbon tax. Scheer's is taking a campaign-style swing through a province that shut his party out in the last federal election. The Liberals captured all 32 federal seats in Atlantic Canada during the 2015 election, including 10 in New Brunswick, something Scheer said his party will reverse in the fall election. Scheer also accused Trudeau's government of signing an updated NAFTA trade deal that made concessions while getting nothing in return. The Conservative leader said the deal was especially bad for Canada's dairy farmers. "I could not believe, though, when I saw the details about what Trudeau agreed with in terms of limiting what Canada can export to other countries," Scheer. "This is the first free trade deal I've ever seen between two countries where one country agrees not to sell to a third country, to leave space for their competitors to fill that. And that was part of what Trudeau signed on to, giving away our sovereignty to seek out export markets." Scheer said his party will closely examine a planned compensation plan for dairy farmers. Asked what he would do to help Canada make a swift transition to a low-carbon economy, Scheer replied by saying that industry should play a leading role. "As innovations take place and as companies invest in different types of power sources, those types of things will be occurring, in some cases, naturally as part of the economy progresses, and society progresses," he said. "And government can absolutely play a role in encouraging innovation as well." Scheer said his party will unveil a policy to break down interprovincial trade barriers, "not just in terms of goods and services but also people, allowing companies in one province allowed to be able to compete for work in another province. That creates competition, that creates better products for consumers." The Conservative leader said that provinces should look inward at reducing trade barriers and that the federal government should play a leadership role in that effort. On Tuesday, he speaks to a business audience in the morning before meeting with Premier Higgs and his cabinet and holding a policy brainstorming session with Conservatives from across Atlantic Canada. Donald Wright, a political scientist at the University of New Brunswick, said the party needs to find strong local candidates to ensure they aren't shut out again in Atlantic Canada. Wright said Scheer's base is in Western Canada and he will need to raise his profile in the Maritimes. He said he expects the Conservatives will target a number of key issues, including the Liberals' carbon tax plan.